October 30, 1925: “The Gumm Sisters” performed at the First Annual Merchants Fall Festival at the Legion Hall in Grand Rapids, Minnesota. October 30, 1932: “The Gumm Sisters” performed this day and October 31st at their father’s theater, The Valley theater, in Lancaster, California. 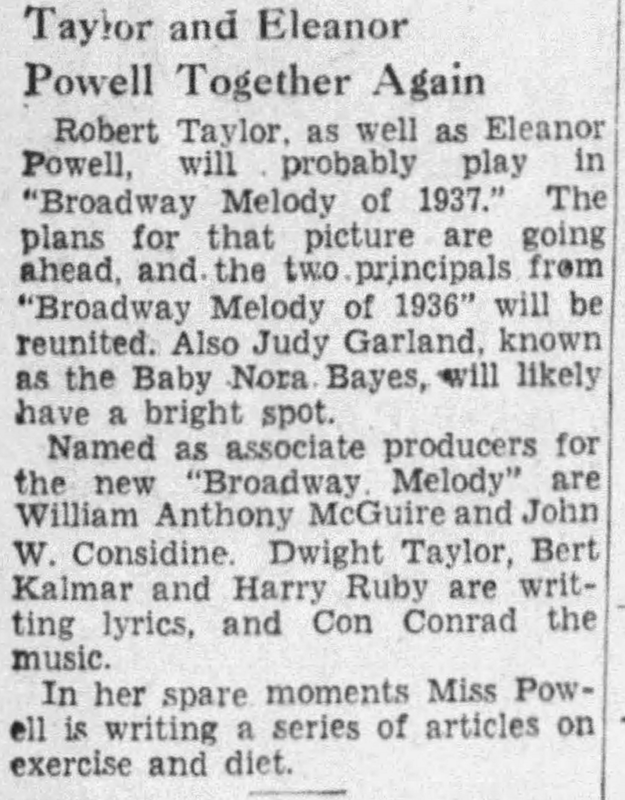 October 30, 1935: This is the earliest known mention of Judy being attached to Broadway Melody of 1938. 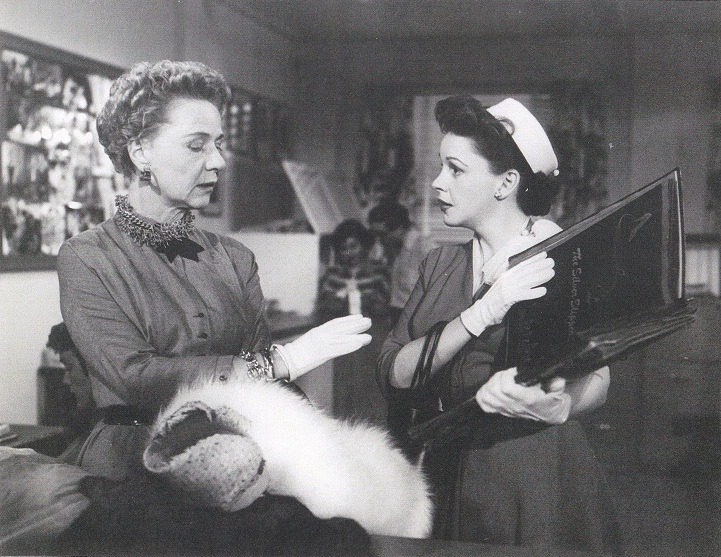 At this point, the film was still titled Broadway Melody of 1937. 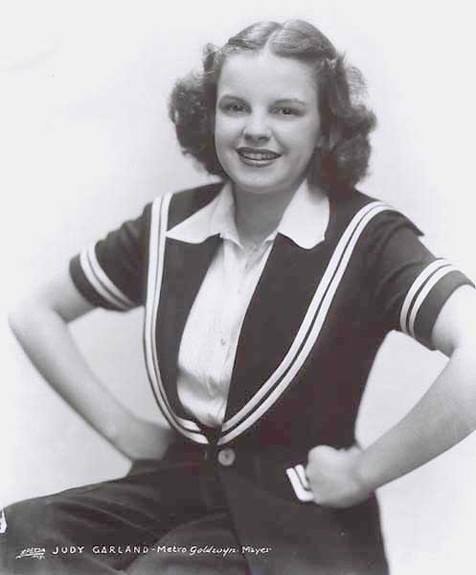 Judy was being called a “Baby Nora Hayes” in several columns that mentioned her. That title was probably provided by the MGM publicity department. 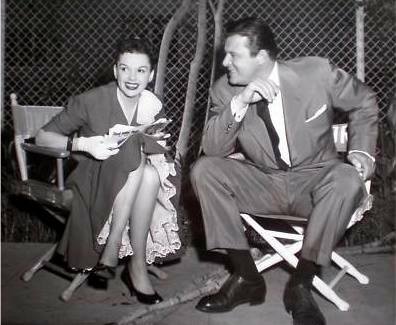 This notice proves that Judy was considered for the film long before Roger Edens wrote “Dear Mr. Gable” for her. 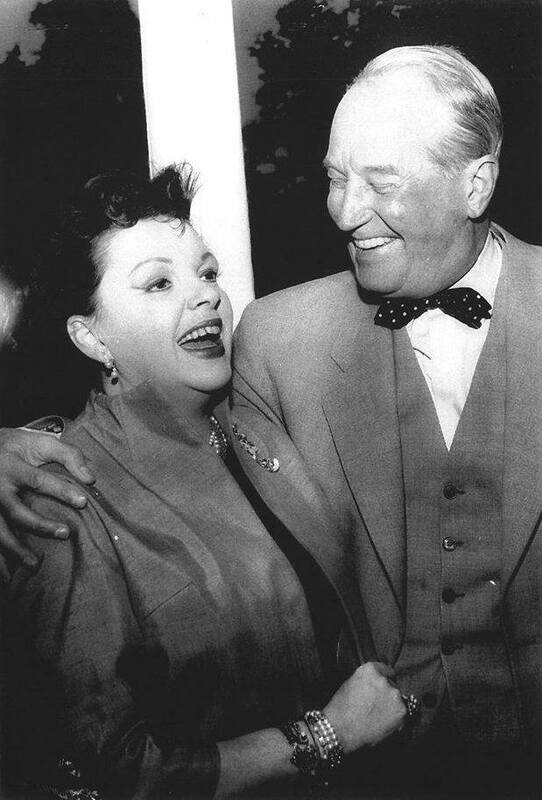 Some have claimed that it wasn’t until after she sang the song at Gable’s birthday party that she was rushed into the film. That’s not true. 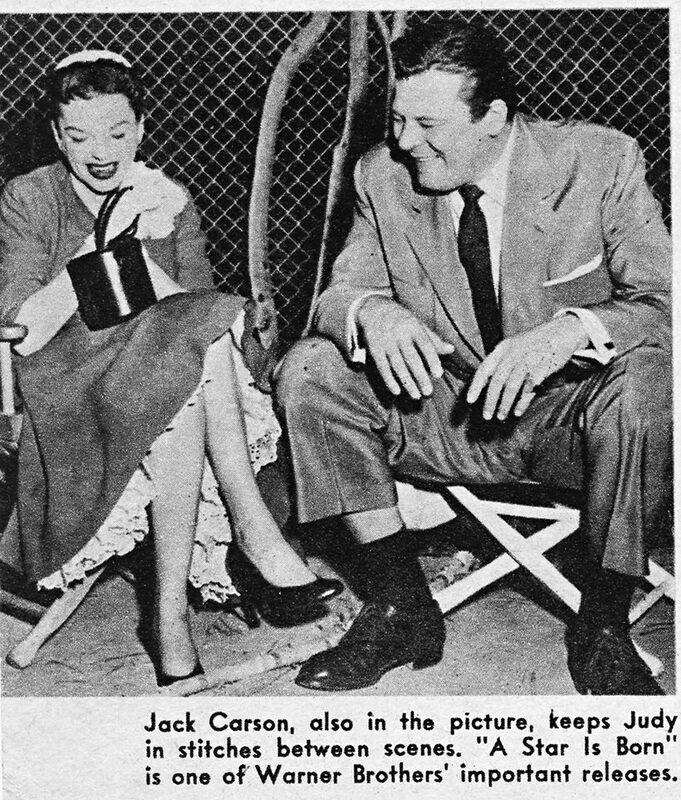 The new song was such a hit that it was decided to add it to the film, but Judy was already on the cast list. October 30, 1938: This article is pure fiction. 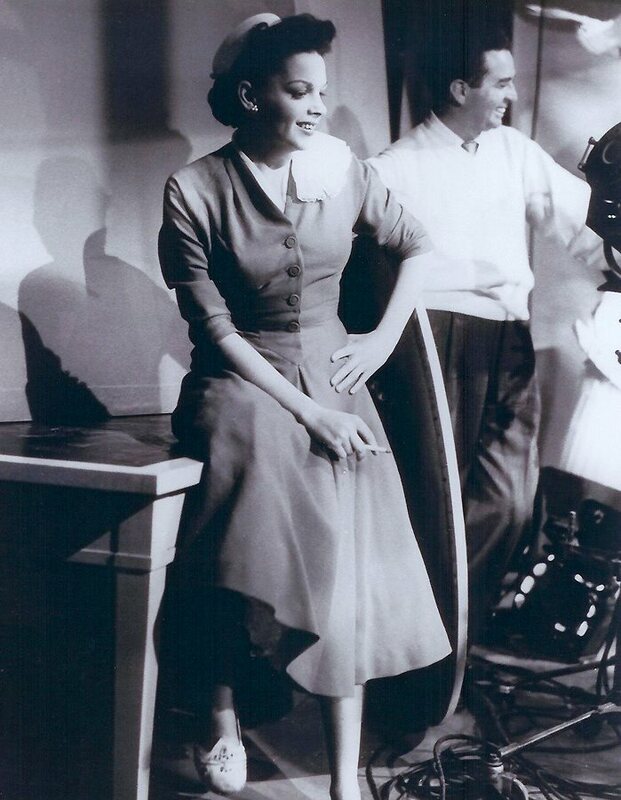 Judy never went on location for any Wizard of Oz filming, it was all filmed on MGM’s soundstages. 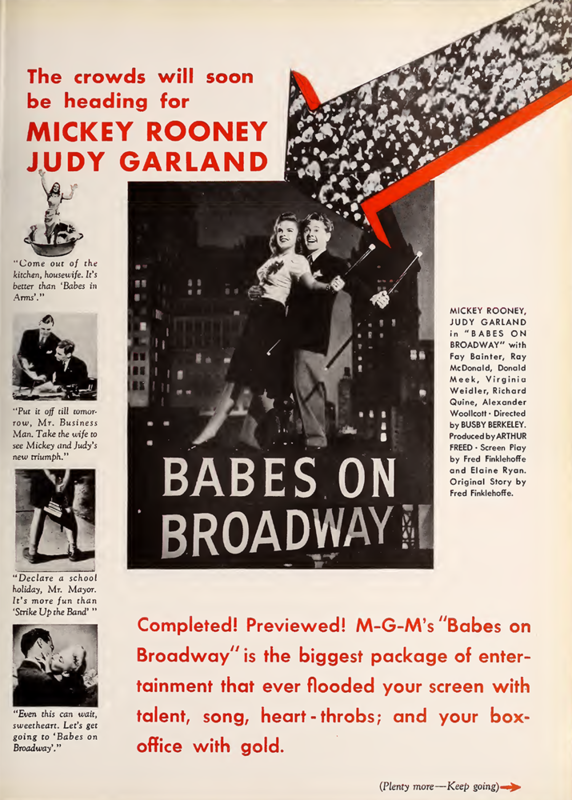 October 30, 1941: This ad promoting Babes on Broadway appeared in the Film Daily trade paper. 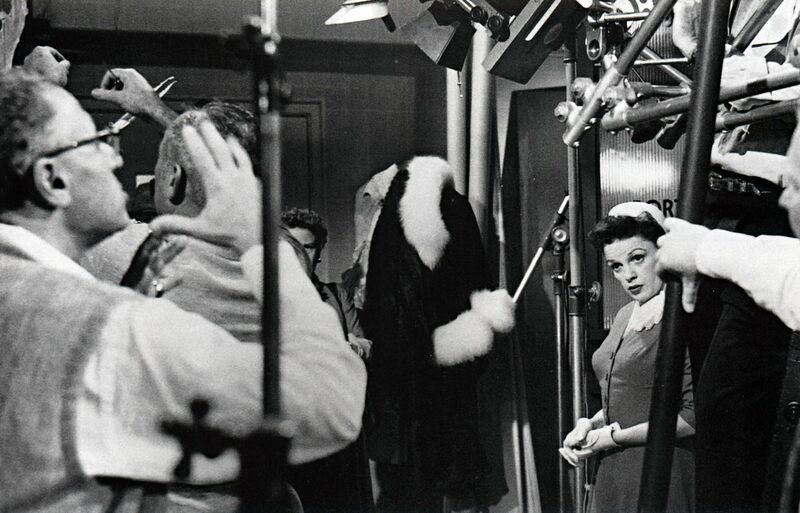 October 30, 1944: Filming on The Clock continued with scenes shot on the “Exterior Riverside Drive” and “Exterior Street Corner” sets. Time called: 10 a.m.; dismissed: 12 p.m. 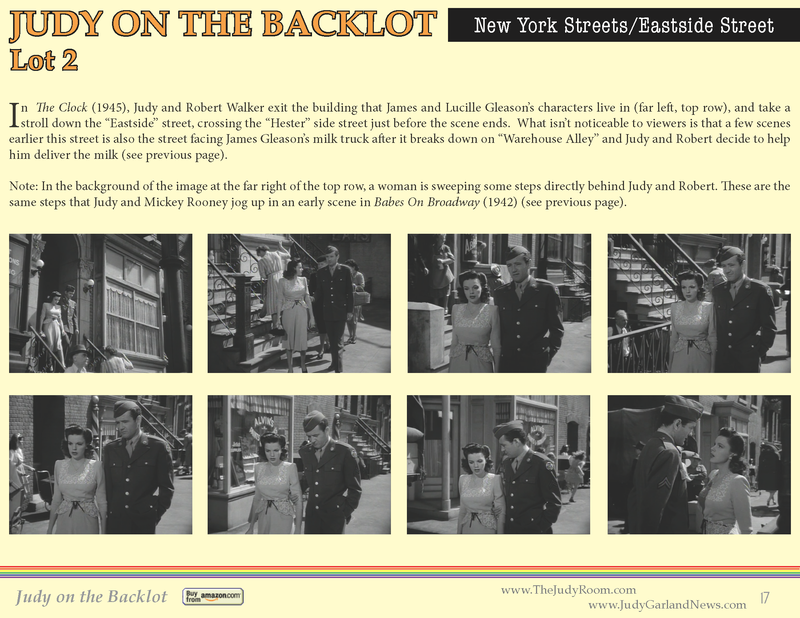 The image above is from the “Judy on the Backlot” edition of “Garlands for Judy.” Download the PDF of that issue here. 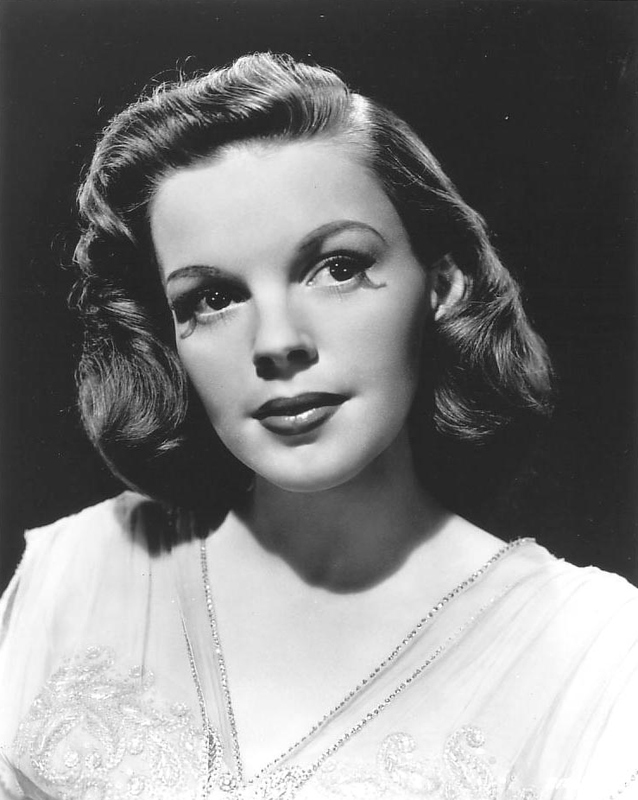 Check out all of the “Garlands for Judy” webzines here. 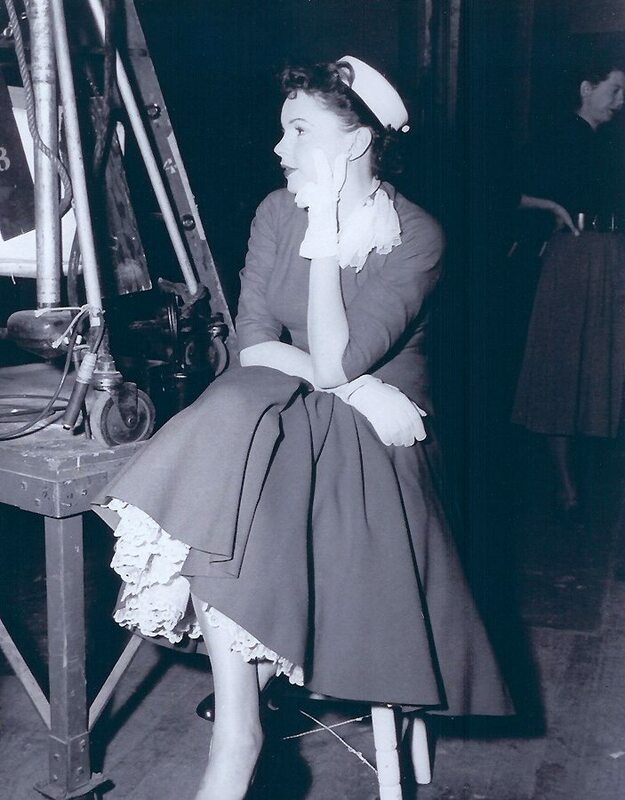 October 30, 1945: Filming continued on the “Who” number for Till The Clouds Roll By on the “Interior Stairs” set. 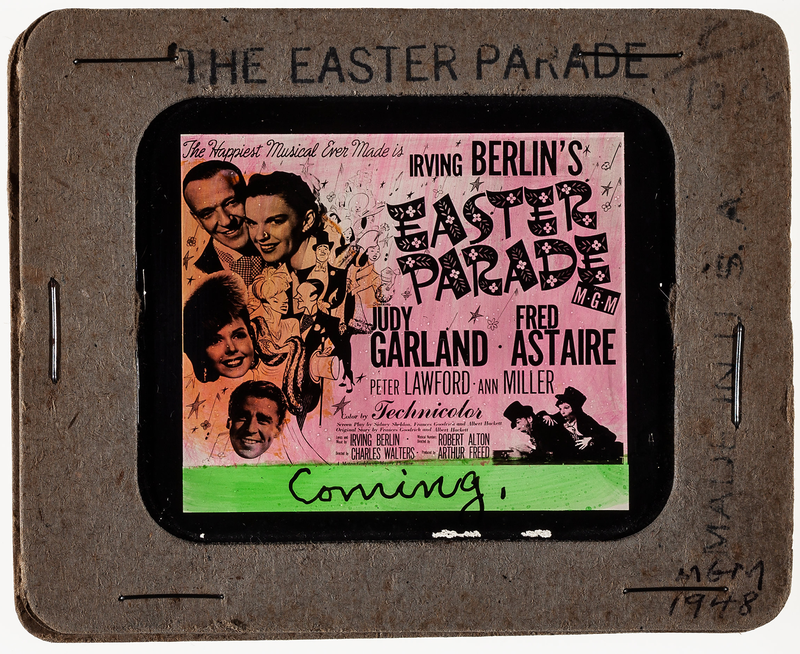 Time called: 10 a.m.; Judy arrived at 10:55 a.m.; dismissed: 6:25 p.m.
October 30, 1947: More music rehearsals for Easter Parade, specifically the “Drum” (“Drum Crazy”), “Strut,” and “Mr. Monotony” numbers. 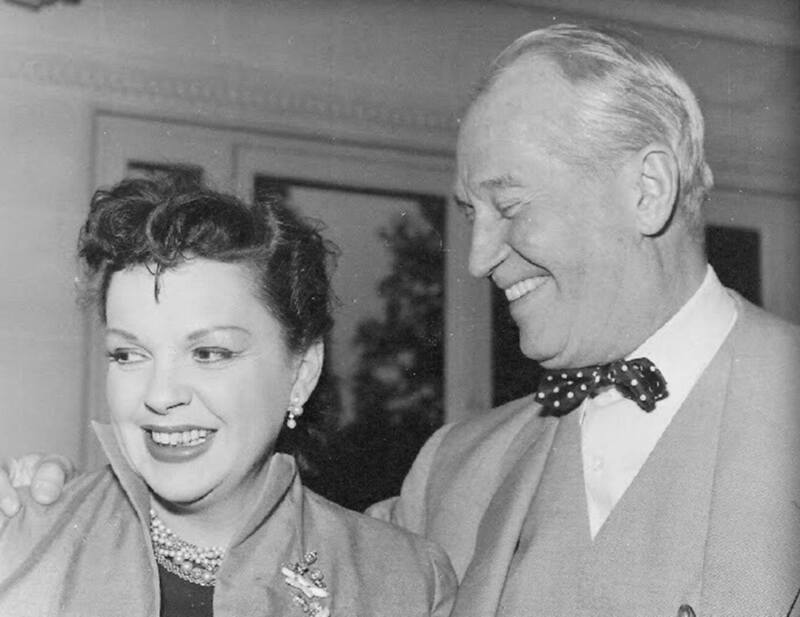 Time called: 2 p.m.; Judy arrived at 2:15 p.m.; dismissed: 4 p.m.
October 30, 1952: Judy filled in as host of “The Bing Crosby Show/The General Electric Program” on CBS Radio broadcast out of Hollywood. 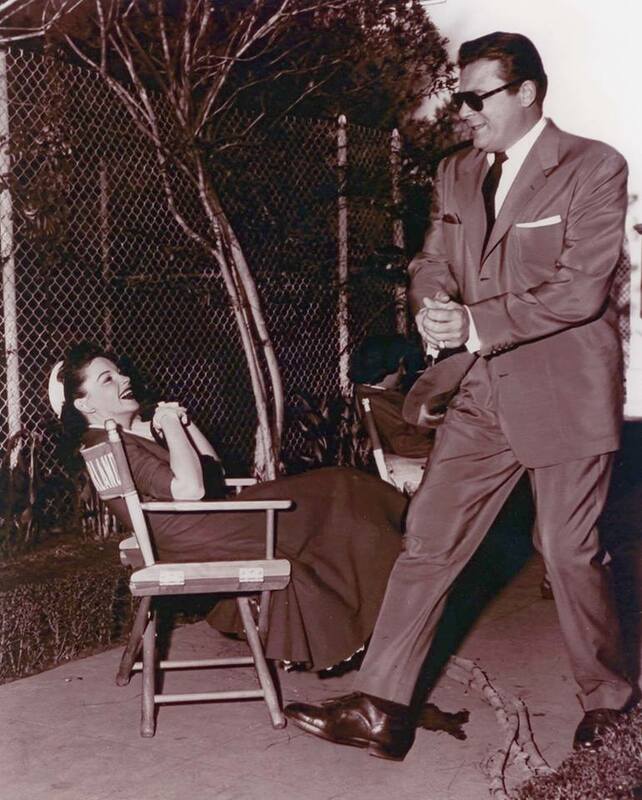 Judy stepped in so Crosby could take care of his ailing wife. 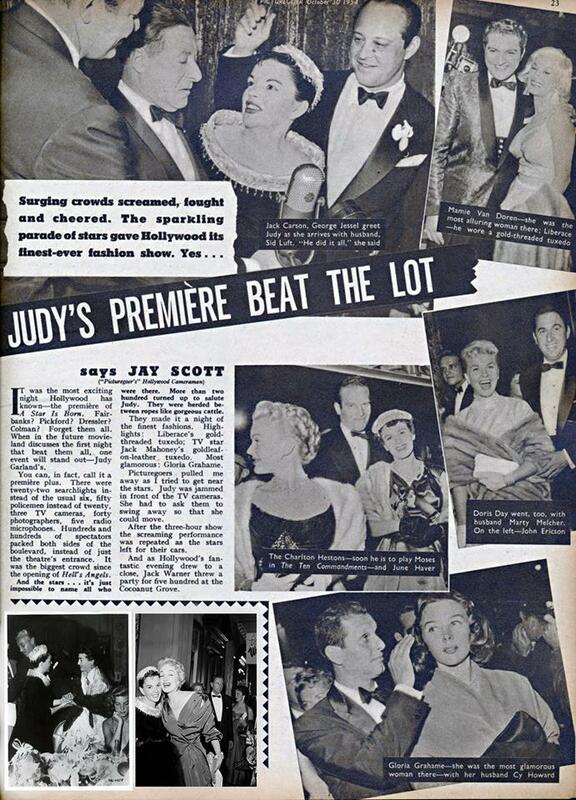 October 30, 1954: The UK “Picturegoer” magazine featured this full-page report about the recent A Star Is Born premiere. 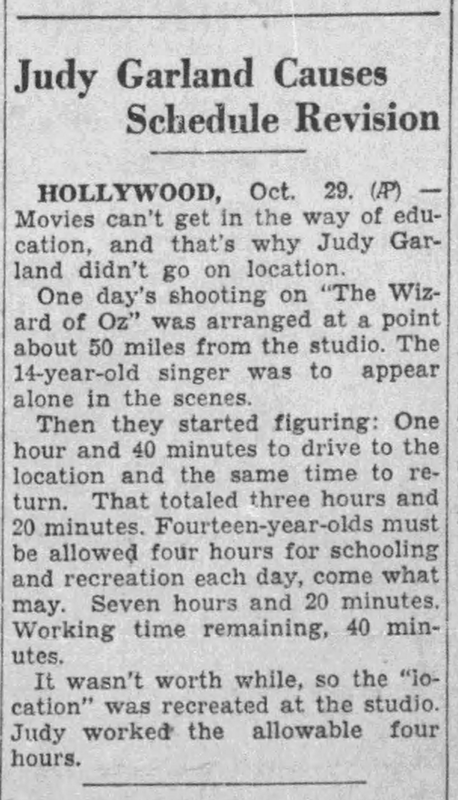 October 30, 1955: The re-release of The Wizard of Oz in theaters was still playing to renewed great reviews and business. 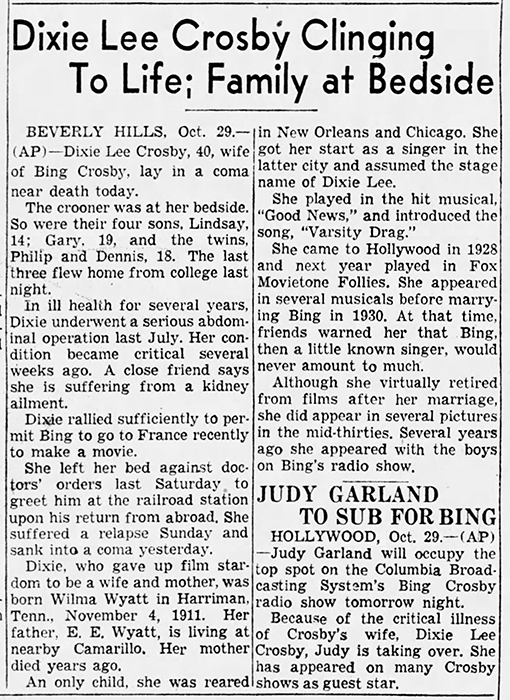 October 30, 1956: Judy was still enjoying great success with her return engagement at The Palace Theatre in New York, as reflected in this article published in The Age out of Melbourne, Australia. 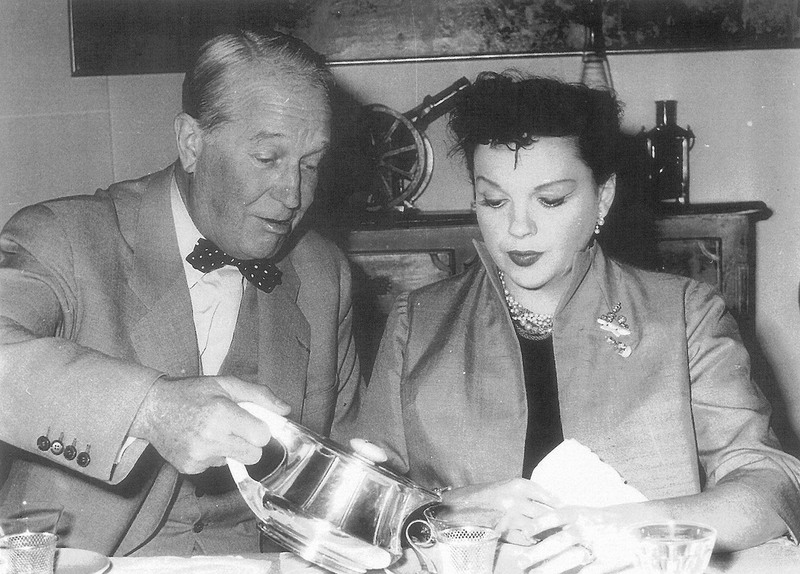 October 30, 1960: Newspapers reported Judy’s visit with Maurice Chevalier at his home just outside of Paris. 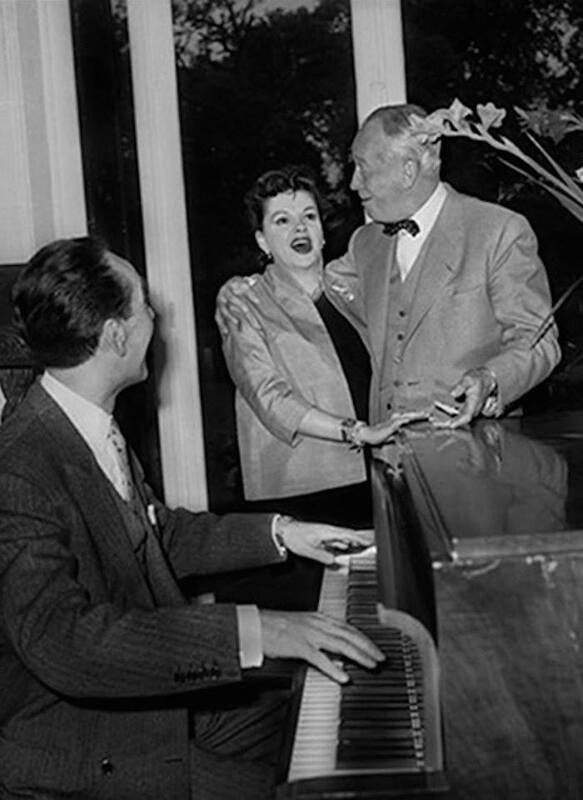 Judy was in Paris for several concerts at both the Palais de Chaillot and Olympia theaters. 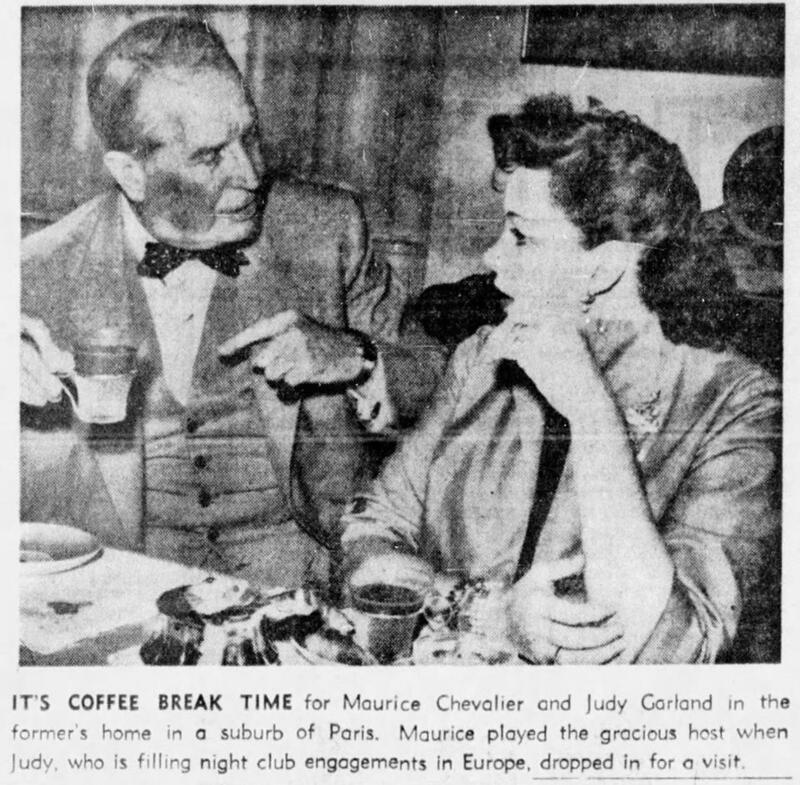 This event with Chevalier occurred on September 28, 1960. 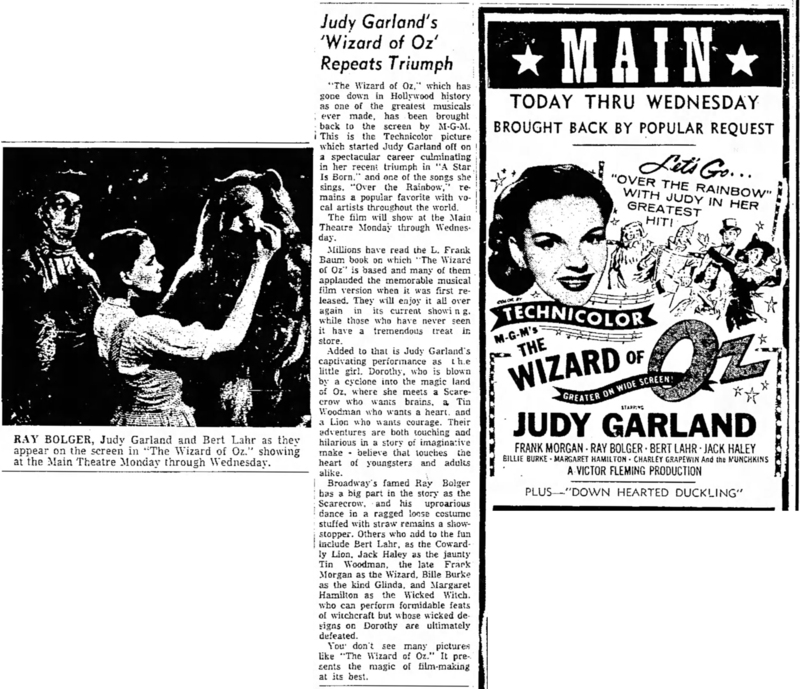 October 30, 1961: Judy’s concert the night before at The Forum in Montreal, Canada, was reviewed by Montreal’s Gazette newspaper. Of course, she was a big hit! October 30, 1968: Very late on this night Judy, John Meyer, and Judy’s secretary Jenny Wheeler drove back to New York City from New Jersey to Meyer’s parent’s apartment on Park Avenue.